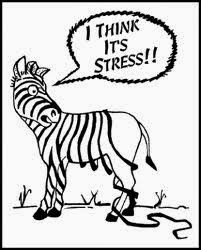 We can't eliminate all the stress in our lives - it just isn't possible - and actually, having a little stress in our lives is good for us. Research on "hormesis" shows that the body responds well to mild stressful situations. However what we need to do, instead of trying to banish stress, is accept that there will be stress in our lives and develop better coping skills to deal with it. Skills you can call on everyday. Most of these skills involve some mind-body connection, cultivating mindfulness and learning to pay attention to the present moment and not dwelling on the past. 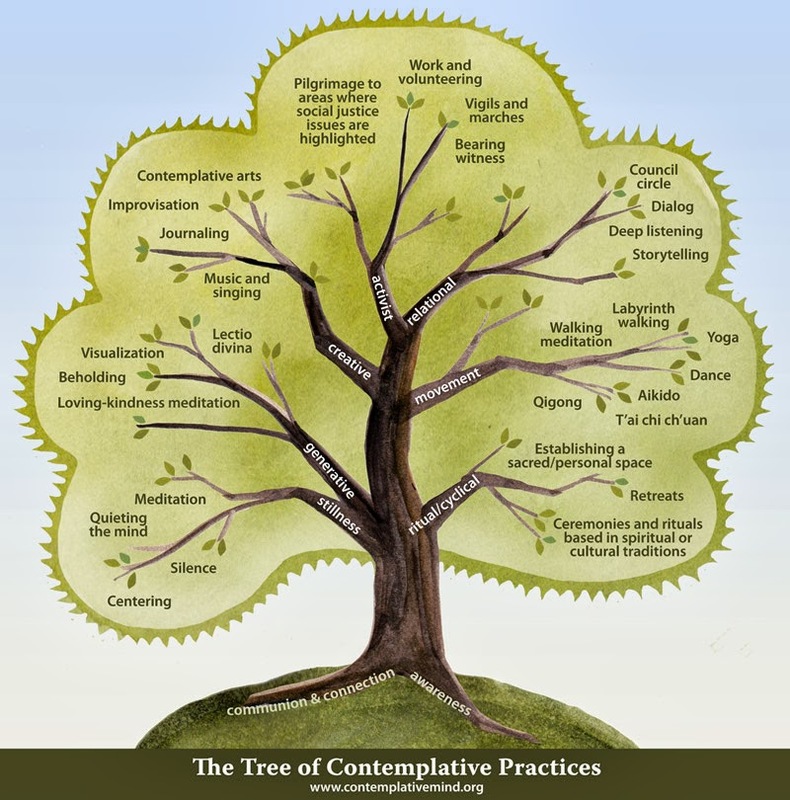 Below you will see "The tree of comtemplative practices" which offers suggestions on different types of things you can do to reduce stress. We are all different. For some of us, using stillness and meditation will work. For others, that is never relaxing, so maybe dance or aikido, getting moving, would help. Maybe music and singing is your way of relaxing, or doing volunteer work and taking your mind off your own problems. But don't wait until you are crumbling under stress before you consider what you need to do - find something now that can help you cope with stress. Choose whatever resonants and feels right for you, and then practice it every day. If necessary, you may need to find someone to guide you and teach you how to do it effectively. Before you are in crisis is the time to do that. But the practice is key too. 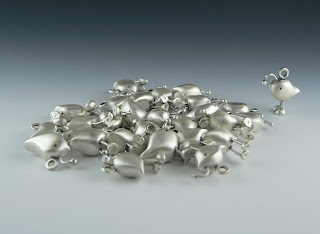 Even if you only do your chosen method for a couple of minutes a day, the repetition will really help. Your body will love you for it - it will change from being under the activation of the sympathetic nervous system - the fight and flight mode - to the autonomic nervous system (ANS). When we are under the control of the ANS, that's when the body can work at healing itself and restoring. Start practicing (practising) a contemplative practice! We have a big covey of quail visiting us regularly at the moment. We enjoyed Quentin and Queenie earlier in the year and their little babes, but at this time of the year, they join up with other families and hang out together until spring next year. While its a delight to just see Quentin, its wonderful to see 20 or more quails all running together. When I made jewelry, Quentin was a big character in some of my designs and he became quite famous, with his little running shoes! They do run so fast. Have you taken time to watch the birds this week? If not, stop now and go to the window. Take a short break and watch some birds. It will calm and relax you - like a little meditation. I am restructuring my blog posts here, to have more regular weekly posts. Part of my plan is that each Monday ( or maybe that is most Mondays!) I will do a book review. I read so many books, so I thought I'd let you know those books - ( both books to read and cookbooks) - that I recommend and those I don't. This week, the book is "Love yourself - like your life depends on it" by Kamal Ravikant. It's a small book - something you can read in one sitting. Only 50 or so pages. Quick and to the point. Kamal doesn't waste your time with lots of words. This day, I vow to myself to love myself, to treat myself as someone I love truly and deeply - in my thoughts, my actions, the choices I make, the experiences I have, each moment I am conscious, I make the decision I LOVE MYSELF"
He then discusses how he went about this and gives a few techniques and practices on how to try this for yourself, such as a daily 7 minute meditation - the 7 minutes is how long his favorite piece of music was, so he'd play it and use that time to meditate. Another 5 minute meditation involves you looking at yourself in the mirror. 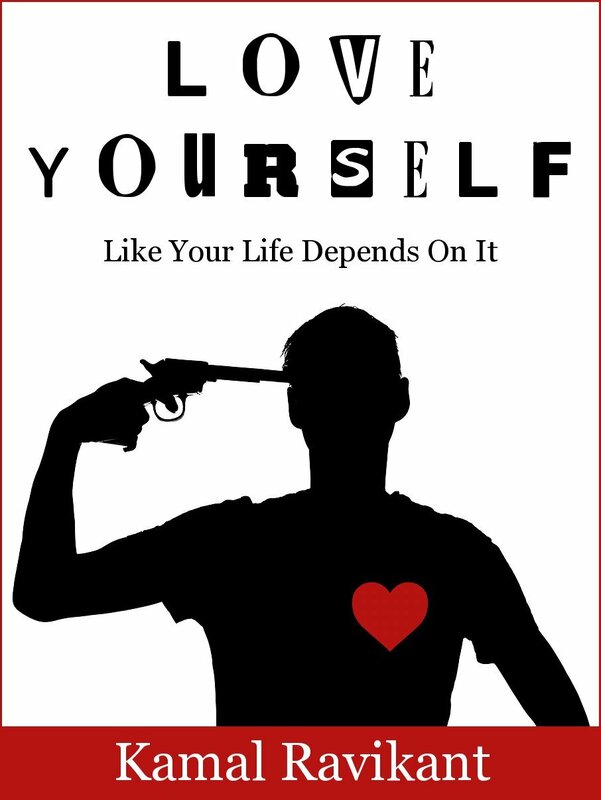 If you are feeling down on yourself, lacking confidence or self esteem - this short book may just help with its straight forward, no mess simple concepts. While you may not love yourself to start with, these exercises can help - and are quick. 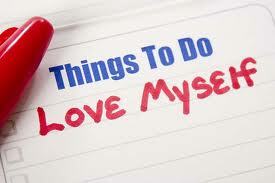 We love others around us unconditionally - so why not love ourselves? However, as Kamal reminds us, this is a practice. You don't go to the gym once and think you are fit - you keep going. Similarly, we need to keep working at loving ourselves. Love yourself available at Amazon. Before we left the US on this trip, our pond was quite busy. 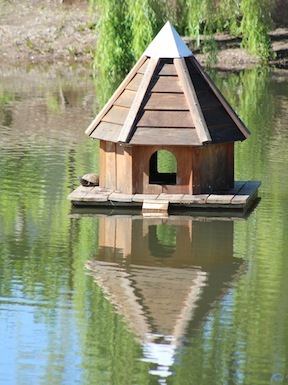 For years we've had 2 turtles in the pond, but recently we've seen a new one on the scene. Mr and Mrs Mallard duck have also been coming by lately. So the other day I looked out and saw how they were nicely dividing up the lake structures amongst themselves. It seems the turtles always go on the "posh" duck house, staying around the edge. Then the mallards swam towards the old duck platform and Mrs Mallard decided to have her rest there. So Mr Mallard proceeded to the fountain and settle down for a rest there. None of them invading each others space - just all comfortable, with a place for everyone. I hope you got some space to yourself today too. It is important. Even if only for a few minutes.